YEEEEEAAAH! It’s hoodie weather! We have just a few of these awesome Art With a Point hoodies left. Get yours here! Order online or pick up in studio. 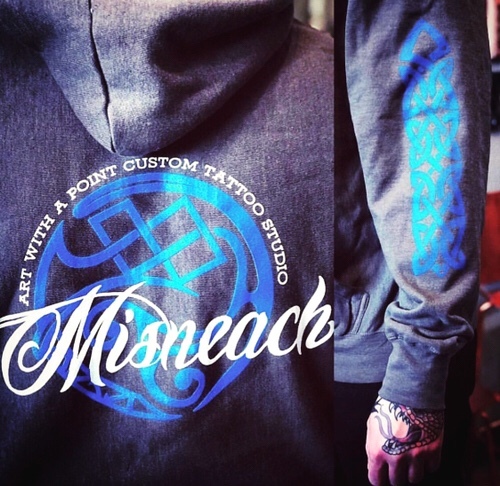 “Misneach” = “Courage” in Irish Gaelic. https://www.artwithapoint.com/wp-content/uploads/2018/09/logo-and-type-v2.png 0 0 admin https://www.artwithapoint.com/wp-content/uploads/2018/09/logo-and-type-v2.png admin2018-09-20 01:05:582018-09-20 01:05:58AWP Hoodies Heck Yeah!